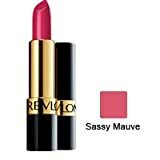 A high definition lip colour with ultra-pigmented finish. Delivers a rich, burst of colour with a lightweight feel. Wax-free gel formula for vivid colour in one smooth swipe. Infused with mega-moisturizers to seal in color and softness. EXPERT TIPS: To create the perfect pout, define lips by applying your choice of ColorStay lipliner to the natural line of your lips. To further increase the wear of your lipstick, fill in lips completely. 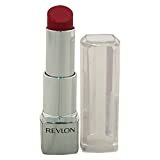 Continue by applying your favorite Revlon Super Lustrous Lipstick shade over the lined lips. One-step, food-proof lipcolor with a patented ColorStay technology that lasts up to 24 hours. Available in 20 full-coverage, soft satin shades. EXPERT TIPS:To Use: Apply a thin, even layer to clean, bare lips and wait until dry. 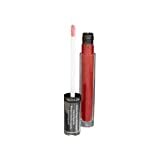 Use with ColorStayTM Lipliner for a polished look.To Remove: Use any oil-based makeup remover or cleanser.